As part of the planned series of shake-down cruises in the Gulf of Mexico, research vessel Falkor, the flagship of the Schmidt Ocean Institute, departed from St. Petersburg, Florida on August 26, 2012 for 12 day long ROV field trials that concluded in Pascagoula, Mississippi on September 6, 2012. This cruise focused on the development of safe practices and standard operating procedures for the deployment and operation of remotely operated underwater vehicles (ROVs), as well as for the ROV data and video management and distribution onboard. Testing and calibration of R/V Falkor oceanographic instruments continued through the rest of 2012. 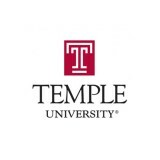 Schmidt Ocean Institute invited scientists from NOAA’s Deep Sea Coral Ecology Program, Temple University, and Woods Hole Oceanographic Institution to participate in this cruise to provide realistic research context for the planned field trials. Participating researchers described coral community characteristics, obtained specimens for shoreside laboratory analysis, and collected water samples that would help better understand the effects of ocean acidification on deep-sea coral communities. Research objectives of Dr. Etnoyer and his team were accommodated, where logistically possible, as part of the planned Schmidt Ocean Institute field trials of the ROV Global Explorer MK3 onboard R/V Falkor. The Global Explorer is a remotely operated underwater vehicle capable of operating in water depths down to 3000 meters. It has a manipulator arm, 2D and 3D cameras, a slurp gun for collecting samples, thermally insulated drawers to contain animal specimens, and other features that Dr. Etnoyer and his team used in support of their research. 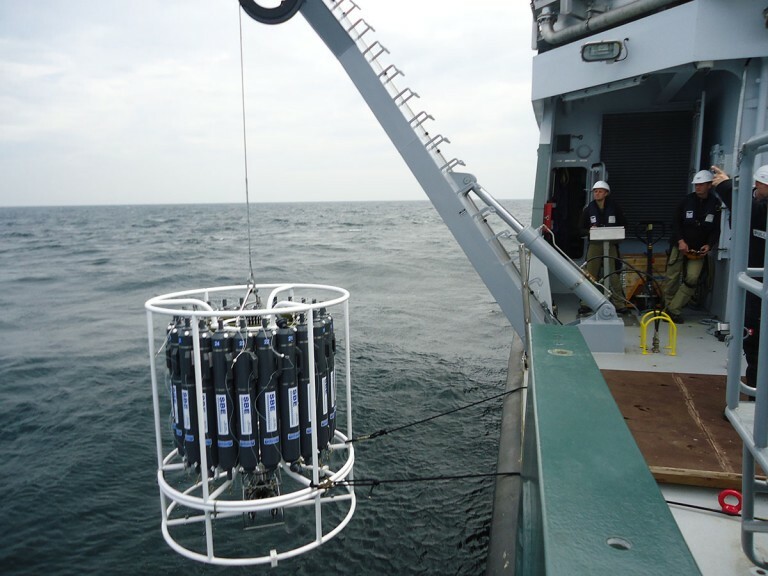 Seven water sample collection bottles were attached to the Global Explorer to collect water from near seafloor, and a 24-bottle CTD rosette was operated from R/V Falkor to collect water samples throughout the rest of the water column. Collected water samples and measurements provided valuable data on temperature, pH, dissolved oxygen, and calcium carbonate in the sea water. The researchers will use these data to gain insight into the effects of ocean acidification upon the deep-sea corals and other marine calcifying organisms. 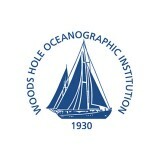 Several members of Dr. Timothy Shank’s laboratory from the Woods Hole Oceanographic Institution also joined the cruise. Ph.D. Candidate Santiago Herrera and Research Assistant Catriona Munro participated in the cruise to continue their current research on corals and their symbionts, as well as animals that live on and with the corals. Specifically, Dr. Shank and his team wanted “to see if the corals and their symbionts in the DeSoto Canyon area are more similar to those in the deep Atlantic than to the more proximal Gulf of Mexico species.” Dr. Shank’s team accomplished this by sampling old and new deep-water coral sites to look for patterns of host-symbiont relationships, as well conducted gene flow studies to determine potential migration patterns in the Gulf of Mexico. 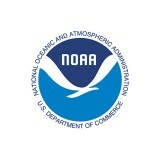 The Gulf of Mexico Fisheries Management Council has recently recommended that deep-sea coral aggregations at the sites along the West Florida Escarpment be protected as part of the coral Habitat Areas of Particular Concern (Coral HAPC). If the recommendations are adopted, all bottom contact fishing gear will be restricted in order to sustain the fragile corals observed during this 2012 Falkor Expedition. Multibeam data from FK-008T catalyzed the 2015 exploration of Mesoamerican Reef by EV Nautilus and ROVHercules, supported by Ocean Exploration Trust. Nautilus devoted six days to mapping and exploration of nearby Belize, partly due to the success of SOI sponsored research activities in Roatan. EV Nautilus intended to dive and explore the Roatan sites mapped by Falkor, but an equipment failure caused four days to be lost, and Roatan was subsequently dropped from the itinerary. The 24-bottle CTD rosette being launched over the side of the R/V Falkor. The rosette will be used to collect water samples throughout the water column at various depths. 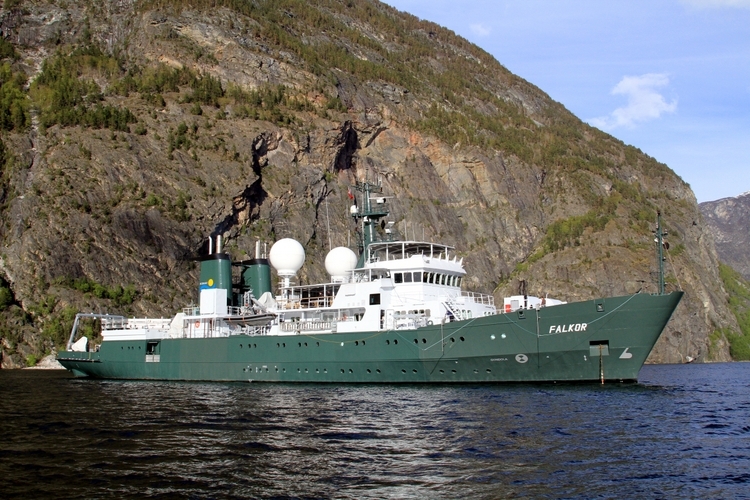 The R/V Falkor during initial test cruises in Norway. The resulting bathymetric data from the multibeam mapping of the West Florida Escarpment using Falkor’s Kongsberg EM302 and EM710 is being stored at, and is downloadable from, NOAA’s National Geophysical Data Center. The multibeam mapping was conducted August 27 – September 1, 2012, with Falkor departing from St. Petersburg, FL and returning to Pascagoula, MS.
Carbonate data from collected waters samples is archived at BCO-DMO.